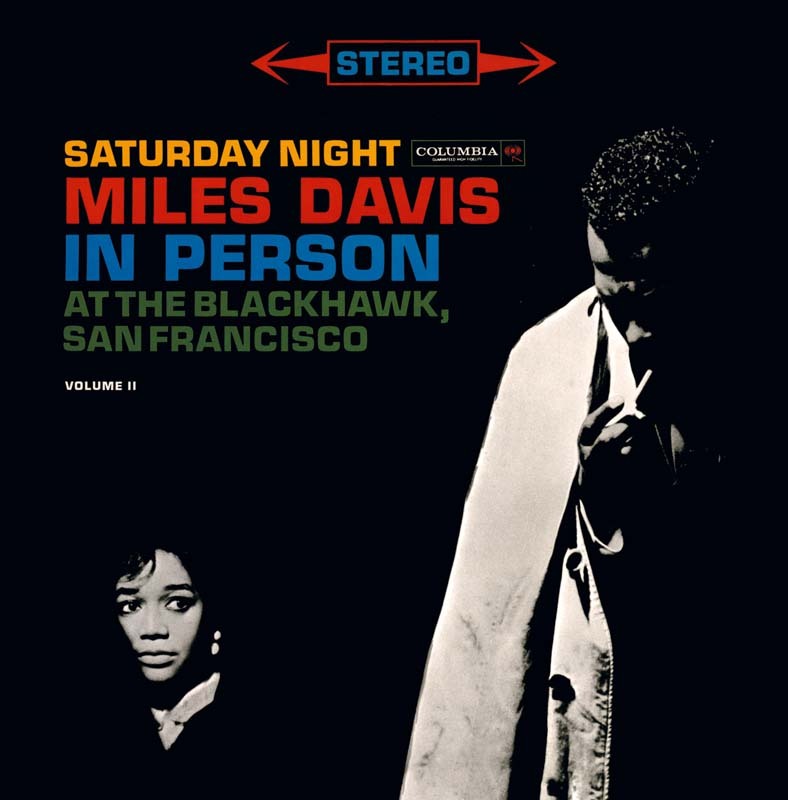 For this second evening at the Blackhawk, Miles’ rhythm section merits attention: Imperial in its function but verging on a routine that Miles abhorred, it provided him with a highly active comfort zone in which he could combine versatility and edginess. And if in certain pieces such as “Well You Needn’t” and “Walkin’” the rhythm section takes a neutral stance, it—especially Wynton Kelly—answers the trumpet with enormous vitality and intensity. The latter calls to the soloist in a fervent, almost churchy, manner, and responds spontaneously to his instructions to come in and out, which Red Garland had previously considered constraining. One also notes in these two pieces the recurrent recourse to a form used by Miles since 1958. It prefigures, 20 years in advance, the lullaby “Dodo l’enfant Do,” made more bluesy and renamed “Jean Pierre,” the name of the son of Frances Taylor from a previous marriage. She appears standing behind the trumpeter on the two covers of At The Blackhawk.